The third installment in the popular computer-animated horror-comedy series. The story has to deal with Dracula and his monster friends taking their summer vacation on a Luxury Monster Cruise Ship, when Dracula falls for the ship's captain, who's also trying to kill him. The film was once again directed by Genndy Tartakovsky (who also helmed the first two), and it was written by Tartakovsky and Michael McCullers. 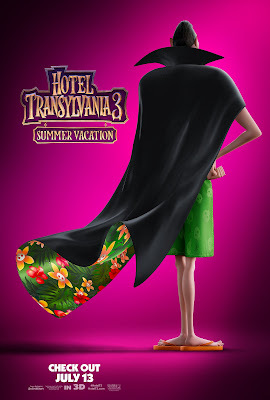 It once again stars the voice talents of Adam Sandler, Selena Gomez, Andy Samberg, Kevin James, David Spade, Steve Buscemi, Keegan-Michael Key, Molly Shannon, Fran Drescher and Mel Brooks (all reprising their roles from the other movies). While Kathryn Hahn and Jim Gaffigan join the cast. It's gotten mostly positive reviews from critics, and it's also another hit at the Box Office as well (just like the others). I enjoyed it, but not quite as much as the first two. 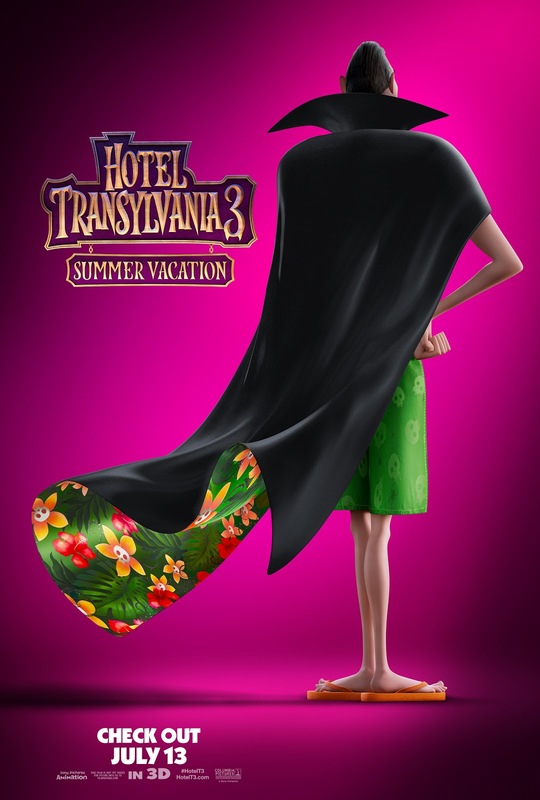 Dracula (Sandler) and his monster family decide to take a summer trip, aboard a Luxury Monster Cruise Ship. When Dracula meets the ship's captain, Ericka (Hahn), he immediately falls for her. What Dracula doesn't know is that Ericka is the great-granddaughter of his longtime archenemy, Professor Abraham Van Helsing (Gaffigan). Dracula then spends the rest of the trip trying to impress her, while she continuously tries to kill him. The movie is charming, and somewhat witty and funny as well (just like the others). It's not quite as clever and funny as the others though, but it's still likable enough (in my opinion). It also, once again (of course), has a great message about not discriminating against others based on their appearance (which is a really important message to me). This is one of the reasons I really liked the film's predecessors as well. I think if you enjoyed the other ones, you'll probably like this one almost as much too.